A little boast from us but hey! We’re just a little bit proud today! 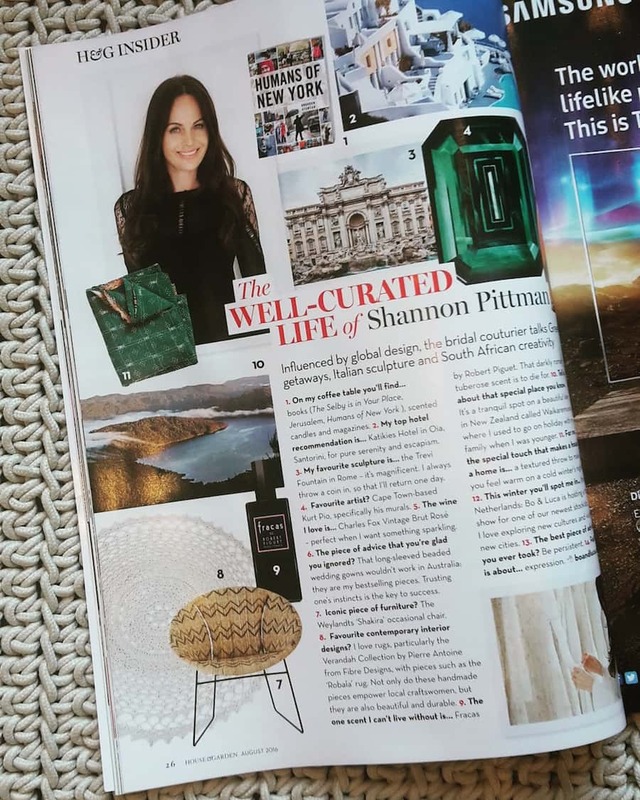 Thanks to Shannon Pittman for the mention in this month’s August issue of Conde Nast House & Garden issue. Shannon’s favorite contemporary interior design love is rugs, particularly our Verandah Collection. “Not only do these handmade pieces empower local craftswoman, but they are also beautiful and durable” she says. Thrilled our collection is getting recognition in South Africa as well as the UK and Australia.